KCYA's School and Community Programs works with a roster of nearly 150 artists to provide dynamic and educational arts programs to children in schools, libraries, community centers, and hospitals throughout the greater Kansas City area. With performances, residencies, workshops, and after-school programs in nearly every artistic discipline and covering numerous academic subjects KCYA's School and Community Programs reinforce core curriculum as well as cultivate artistic expression; unleashing ideas, creativity, and individual problem solving skills. View our programs in magazine format below or click here to search our online catalog. Title I schools in both Kansas and Missouri are eligible to receive programs at a discounted price. In Missouri, these discounts are made possible by the Missouri Arts Council. A maximum of two program subsidies per school, per year applies as limited funds are available. Contact us at 816-531-4022 to find out more information. We are thrilled to be offering these exciting residencies for the third year! Is a collaboration between the KC STEM Alliance and Kansas City Young Audiences (KCYA), pairs a professional teaching artist with a classroom teacher to present STEM curriculum in new and creative ways. Building upon the nationally-recognized Project Lead The Way (PTLW) LAUNCH curriculum for elementary schools, KCYA teaching artists integrate a variety of art forms into classroom lessons for increased student engagement and improved understanding of the academic content. Teachers will learn how to integrate the arts into their lessons and build skills to replicate activities in the future. Student engagement will increase in arts-integrated LAUNCH modules. Students will gain 21st Century skills: collaboration, creativity, critical thinking, problem-solving. 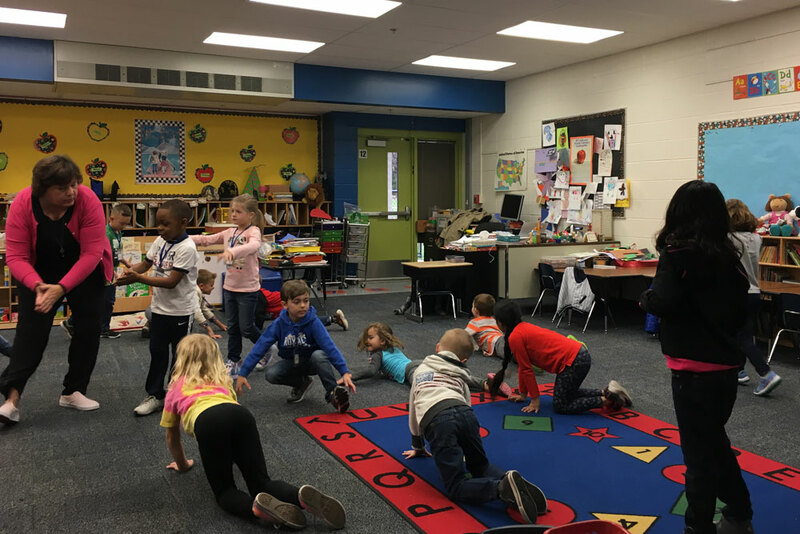 Kindergarteners used dance to learn computer coding. First graders sang songs as they learned about animal adaptations. Second graders created puppets and made documentaries about erosion. Second graders used mime to learn about simple machines. Fifth graders used drama to learn about how diseases spread. During this hands-on session, classroom teachers will work alongside professional teaching artists. Together you will explore and practice different ways to use the arts to teach STEM lessons. Presenters will include teacher/ teaching artist pairs who have participated in previous STEAM residency projects. You will leave this interactive and informative session with specific ideas on how to integrate the arts into PLTW Launch and other STEM curriculum lesson plans. This STEAM PD Session is scheduled for Saturday, September 7th. These planning sessions between you, your partner teaching artist, and a KCYA or KC STEM staff member, will help you plan which specific Launch modules will be taught or reinforced through arts integration. Your partner teaching artist will come to class to teach or co-teach with you the specific PLTW Launch/ STEM lessons you’ve chosen for integration. These sessions will be customized based on your needs, interests, and experience. Teacher and Teaching Artist will have one final meeting to reflect on the project and assist the KC STEM Alliance and KCYA in project evaluation and future planning. *Workshops must be scheduled back to back. Thanks to our sponsors, we are able to provide a limited amount of grant funding to help underwrite the costs of these residencies in your school. 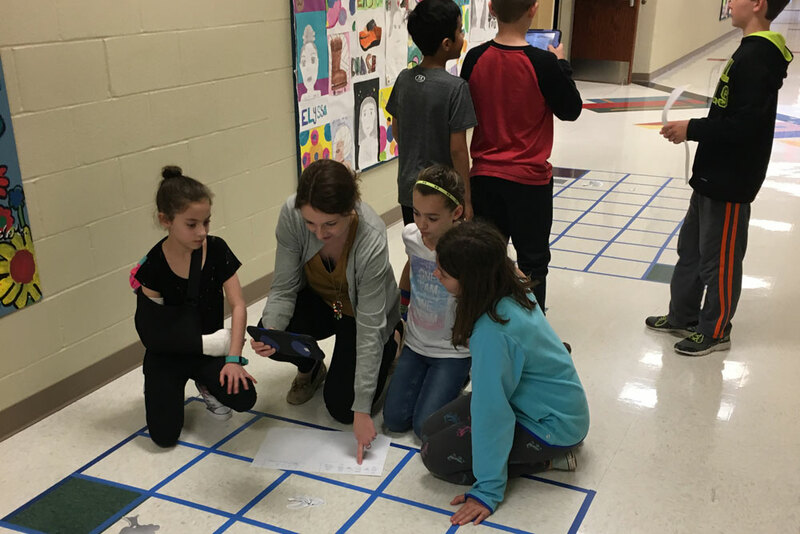 The application deadline for the 2019-2020 STEAM Residency Project is May 31, 2019. 'That's really cool. they're having so much fun!' It hit them. miming and used their bodies to build simple machines. to learn and make those connections." Interested in a shorter residency? To learn more please call Rachel Cain: 816.531.4022 ext. 1011.